On a cold night in February, the Alexandria Chamber of Commerce held their annual Chairman’s Gala and silent auction fundraiser. 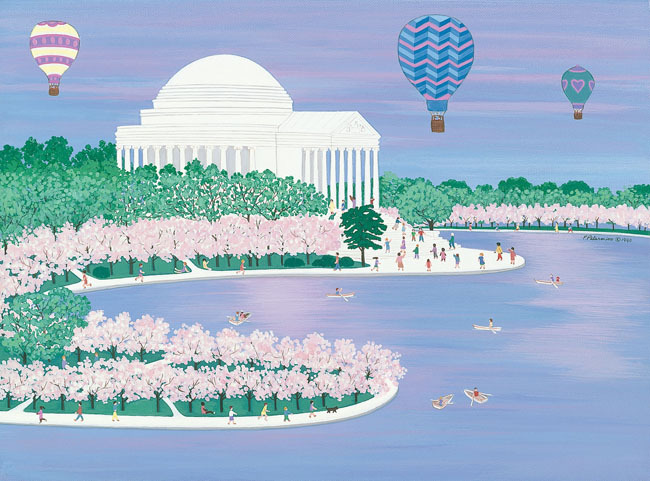 American folk art painter Patricia Palermino once again donated one of her artworks to the fundraiser which raised more than $6,000 for Alexandria charities. Pat donated a framed painting of George Washington’s Mt. Vernon during the holidays. A gorgeous depiction of the splendor of this great American landmark! This artwork is also available as notecards, a mini poster, and unframed.